Fortune 108, located in Pune, is a residential development of Fortune Properties. It offers spacious and skillfully designed 2BHK and 3BHK apartments. The project is well equipped with all the basic amenities to facilitate the needs of the residents. The site is in close proximity to various civic utilities. Wakad, a fastest developing locality of Pune that falls under Pimpri-Chinchwad. Located close to Mumbai-Pune Bypass Road the locality is housing some of the structured residential units. An efficiently laid-out region, along with a number of residential projects is driving surge in the real estate market over here. Availability of banks, educational institutions, hospitals and shopping malls in the neighborhood makes it a better efficient infrastructure and transportation. In which area is Fortune 108 located?The project is situated in Wakad, Pune. 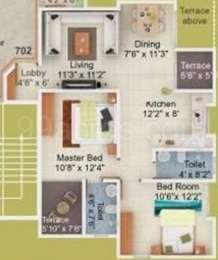 What are sizes of apartments in Fortune 108? 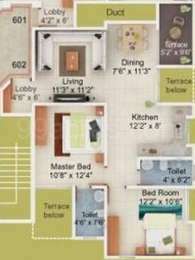 The apartment sizes in the project range from 922.0 sqft to 2710.0 sqft. 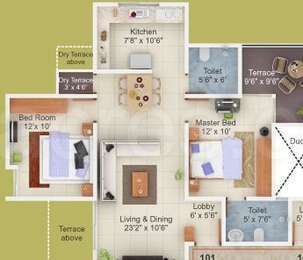 What is total area of 2 bhk in Fortune 108? The area of 2BHK units in the project varies from 922.0 sqft to 2081.0 sqft. What is size of 3 bhk in Fortune 108? The area of 3 BHK apartments ranges from 1351.0 sqft to 2710.0 sqft. What is total size of Fortune 108?The project is built over an area of 1.5 Acres. How many units are there in Fortune 108?The project offers a total of 81 units. How is Fortune 108 Apartments. We are planning to buy a flat in Fortune 108 , Tathawade. It is different from the other projects that I have seen. However kids play area is very small. Before investing I want to know if it is safe to buy flat there (both monetary wise and safety wise).